Shouting out to Mrs. Madrids 3rd graders at Hurshel Antwing Elementary in El Paso, TX! 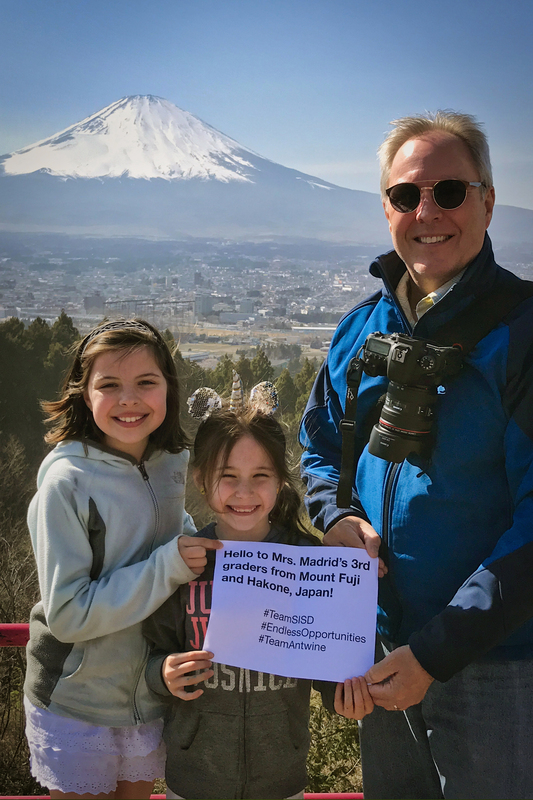 Yesterday we travelled to the Chureito Pagoda, along the way we stopped to shoot this for Mrs. Madrid’s class near Hakone, Japan. That’s Mount Fuji in the background, the tallest peak in Japan at 12,389 feet hight. Our girls are on spring break just like Mrs. Madrids kids probably are now and we hope they have are having as much fun us!